Heart of Samba "Havana Nights"
Welcome to Heart of Samba Dance Entertainment Company in Los Angeles, CA. Top Authentic Professional highly skilled diverse Dancers and Musicians that will bring glamour, excitement, a quality performance & electric atmosphere to your event. We provide a sophisticate & authentic show with beautiful costumes, choreography and guest interaction. From ﻿﻿corporate venues, weddings﻿﻿, birthdays, brand launches, private events & and more! Please message us for bookings/inquires. Contact us today ! We'd love to hear from you! I rarely ever write reviews, but I simply had to submit this one because Gilda and Co were an absolute pleasure to work with. Also, I have only superlative comments for the two dancers who performed at my event. The girls are not only great dancers, but they were incredibly professional. The program incorporated samba and belly dance and our guests really enjoyed both performances. To conclude, I was truly impressed and I have no reservations whatsoever in recommending Hearts of Samba to friends and family. Thank you so much Olympia, It was an honor to be a part of your special event. We are glad your guest enjoyed the show. We also want to thank everyone for being so kind and generous to the performers. We look forward to upcoming events and enjoy working with great people like you. It was good. But I expected more. The outfits were not what I expected. I thought it would be more dancing. It was just okay. Amazing Burlesque performance by Marianna Soto! I cannot say enough good things about Heart of Samba. We hired Marianna Soto to perform at a Bachelorette Party for half hour. She was an absolutely beautiful dancer and was very engaging with our party. She performed a few beautiful numbers (including taking a special song request that brought tears to the eyes of our bachelorette). 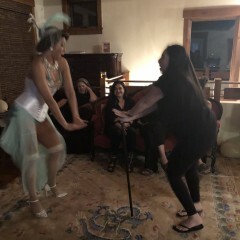 Then she got all of the ladies up and dancing and laughing and having a great time, bringing joy and a great energy to our party! This was a real treat and highlight of the party. 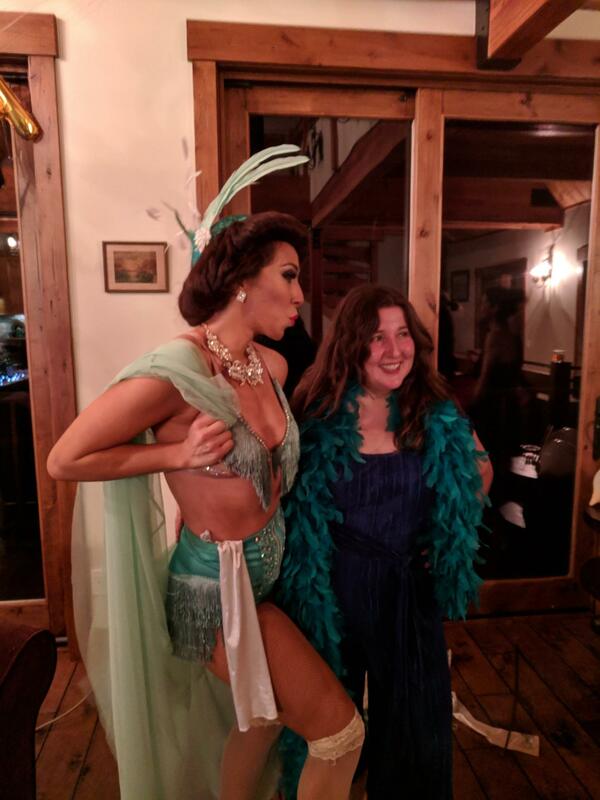 Performance was very reasonably priced for professional, high-quality performance from her timeliness and professional demeanor to her costumes, props, makeup, everything! I would certainly hire Heart of Samba again and highly recommend them for ANY event. This was fantastic! The two dancers had great personalities and put on a fantastic show. We hired Heart of Samba for our retirement community luau. I would definitely use them again. Thanks for a great show! The dancer was on time. She had 2 costumes which were so pretty. She danced traditional Hawaiian luau and she played w the kids. It was a great time. Adults and children enjoyed her. Thanks. All our guests were complimenting what a great time they had. Very entertaining show!!! They also did a good job with audience participation. No doubt, we'll hire them again and again. Great job - got the crowd involved. Big hit! Gilda is so sweet and easy to work with. The dancers were very pretty and professional. My guests were very happy and can't stop talking about it. Awesome and amazing dancer . The company was very friendly, helpful, and professional. I would definitely recommend them and would hire them again. Heart of Samba did an awesome job for our event, and their artists are PRO. Would definitely recommend and hire again. small backyard party of 80 people had a blast! Thank you Rommel! The girls had so much fun with your guest. Hope your husband enjoyed the surprise! We hired Heart of Samba Brazilian Samba dancers and the girls were unbelievably talented, beautiful and had the crowd up and dancing. Amazing customers service very attentive to details. I had the pleasure of working with amazing team and I look forward to working with them in the future. If you are looking for an amazing experience and a wonderful show look no further. Thank you Carol, we are honored and privileged to work with amazing individuals like you. Our dancers had an amazing time and enjoyed dancing with your guest. We look forward in working with you again. Brilliant in every aspect, professional, beautiful, great performance and very polite dancers. Would recommend and hire again! Thank you Victoria, our dancers had a great time performing with Live Jazz band and not to mention your vibrant guest dancing the night away. Super fun and we are glad everyone enjoyed the show. We look forward to the wedding celebration! Thanks again for your love and support. Wish we could give more stars! We have been overwhelmed with our guest responses complementing Heart of Samba Dancers.The dancers were very professional appearance and professional customer service. They worked with our event planner and DJ to carefully plan the evening to ensure it flowed wellI. I highly recommend hiring them if you want to have a killer time. Extremely beautiful, Professional & Extrodinary Samba Show! Let me start by saying even though there was other companies trying to offer cheaper rates, the quality of the beautiful dancers,costumes and performance is very important to me therefore the price did not matter. I couldn't have asked for a better show for my wedding! The girls arrived early and gave an exceptional performance, Carnival Style!! 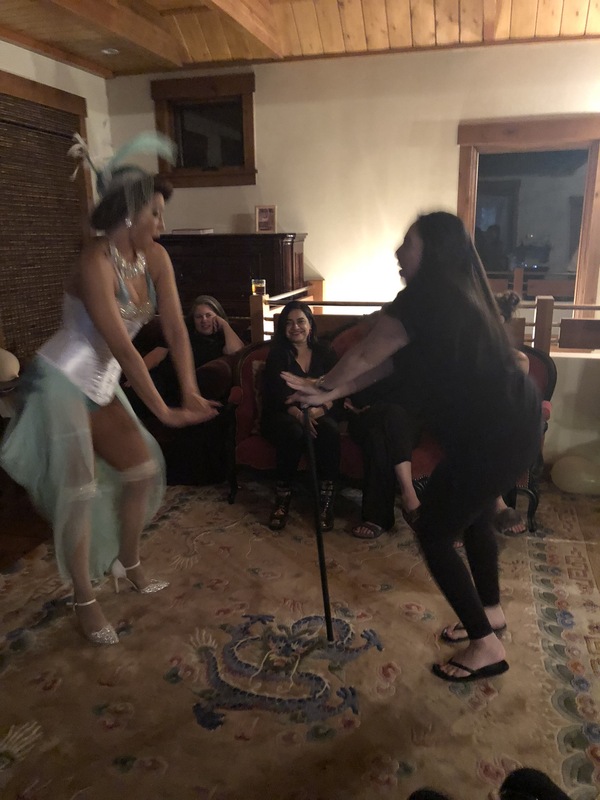 My guests could not stop raving about the performance. They definitely gave me more than what I expected. Thank you so much, We will definitely be using Heart of Samba again! Marvelous Samba Show and Beautiful dancers!!! Samba Dancers were marvelous, loved that they interacted with our guests and made them feel part of the performance. They were Entertaining, friendly, down to earth, engaging and very beautiful! Their videos, although great, do not do justice to these Samba Dancers.They adjust and fit in to any surroundings. Just can't say enough great things about this Samba group!I would highly recommend them to anyone! !Thanks Girls! We had the pleasure to work and perform for great people. We are thrilled you and your guest enjoyed the show and glad the Birthday Boy loved it. We cant wait for the next event with your family. We appreciate all the love and support. Excellent!!! No other way to describe! We had 2 beautiful dancers perform at our Latino Heritage event and they did wonderfully! 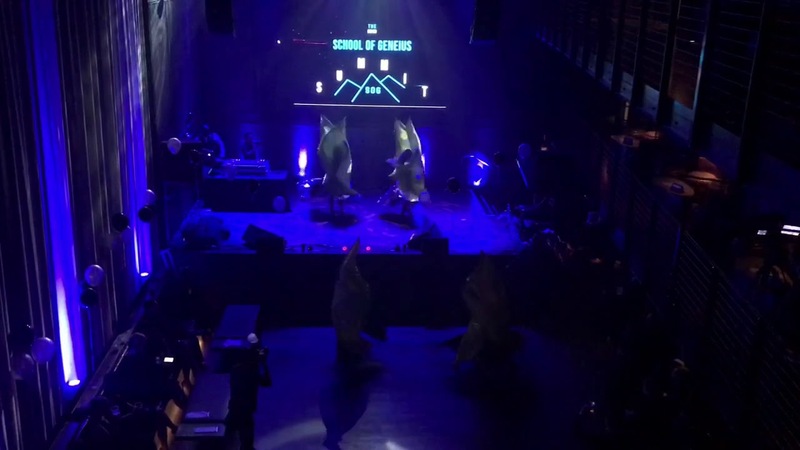 They really engaged our students and brought our event to a whole new level. We were very thankful for their great spirit and wonderful dancing. What can I say beautiful all around,,dancers, drummers, amazing show, costumes, music and great entertainers. Our guest loved them and their performance. Would recommend Heart of Samba to anyone seeking authentic Brazilian dancers. We hired these Beautiful girls for a fundraiser and everyone was thrilled with their performance. The show was authentic Brazilian music and samba that our guest enjoyed. The event was very important to us and the girls made it much more spectacular! Thank you so much ladies!! The girls were amazing at our wedding. The show was amazing,very beautiful girls. The crowd loved them and a few of my guest requested them for their events. I would recommend them to anyone and I will be hiring them soon. Thanks girls! Heart of Samba Entertainment offers a variety of performers, artist and musicians. Our dancers bring the highest standards in service, professionalism A energy , a performance your guests will not forget. Our Show is customized for each clients individual needs. 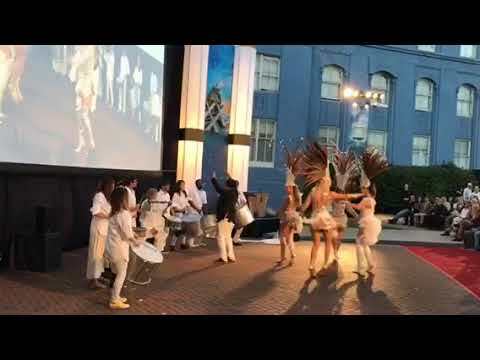 Brazilian Samba Dancers, Latin Dancers, Flamenco Dancers, Gypsy Dancers, Ballroom Dancers, Hawaiian Dancers, Belly Dancers, Bollywood Dancers, Burlesque Dancers, Fire Performers, Drummers, Musicians and much more. Brazilian Samba Dancers- Brazilian Samba Drummers to complement our dance show is also available. A rhythmical dance form was developed in Brazil. Our Brazilian Samba Dancers are trained in Brazilian Samba dances and Music from Brazil. We also have drummers and Capoeira dancers available. Pure energy of﻿ Carnival for ﻿your﻿ special event! Latin Dancers/Ballroom Dancers -Latin American influences and is a lively, sensual dance. Including Salsa, Afro Cuban, Bachata, Cumbia, Merengue, Swing, Cha Cha Cha, Conga and much more. Latin Fever & Upbeat Latin Dancers! Belly Dancers/Bollywood Dancers-Our Belly dancers provide Egyptian , Fusion, Lebanese, Tribal, Turkish, and American Style. Our dancers set the tone and mood of every performance. Hawaiian/Hula Dancer-Hawaiian dancers provide a unique dance accompanied by songs that preserve and perpetuate the stories, traditions and culture of Hawaii. Hawaiian Dancers Including Hula, Tahiti, Polynesian, Luau, Fire performers. Bollywood Dancers-Our professional Bollywood dancers offer a show which we incorporate Bhangra, Ghoomar, Bollywood Masala, Chari, Dandia and much more. 1920's /Flappers/Cabaret Performers- Our 1920's performers offer a variety of dances/costumes including Great Gatsby, Rockets style, Jazz, Swing and much more. Las Vegas Entertainment/Dancers-Our dancers will dazzle through dance routines of famous songs that you will quickly recognize and the crowd will love. Afro-Dancers-Musical and dance forms that contained elements they brought with them from Africa, Dancers and drummers available. Flamenco Dancers- Our Flamenco dancers performance is fiery, exciting, loud, passionate and sensual. Bringing Traditional Flamenco, Gypsy Style. Seville and much more. We also have Guitarist available.